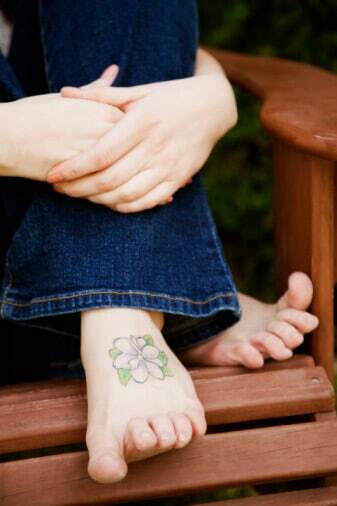 It’s sandal season and every time you slip on your wedges you are reminded of the flower foot tattoo you got on Spring Break 2005! Well, that was a long time ago and though some of those memories may have faded, your lotus flower sure hasn’t! 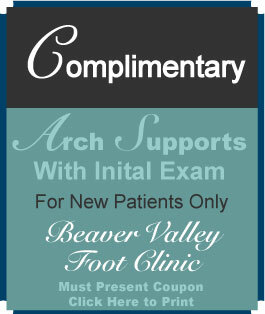 Don’t fret – Beaver Valley Foot Clinic’s Body Beautiful Laser Medical Spa is here to the rescue! At the Body Beautiful Laser Medical Spa, we use state-of-the-art tattoo removal technology to erase unwanted tattoos from the foot, ankle and leg region. Previously, tattoo removal could take several months and was rather painful. Thanks to the R20 Technique, tattoos that would have taken 4 months to remove now take a day and those that would have taken a year or two, now just takes a few months. R20 technology uses a laser to create gas bubbles under the skin. As the bubbles disappear, it allows the laser to penetrate even further deeper into the skin allowing for faster tattoo removal. With some tattoo removal, there may be some ink left behind. 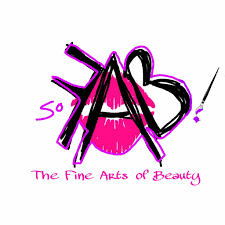 For that, we can follow-up with our Solutions Method which is conducted by implanting a solution with a tattoo needle over the pre-treated and faded tattoo. The solution will actually liquefy the remaining ink and bring the ink to the surface where your doctor can easily wipe the ink away! Our most effective treatment and the #1 method for tattoo removal is Cynosure PicoSure. This laser removal technology uses Pressure Wave mechanics to break the ink into sand-like particles. Removal works by a process called Photodisruption. Photodisruption cause a micro-implosion under the skin shattering ink particles so much so that they’ll be expelled from the epidermis by natural cellular turnover. Layman’s terms? Over a few weeks, the ink is brought to the top layer of your skin and will naturally be whisked away as your body’s immune system will push the ink, a foreign entity, out of your body! 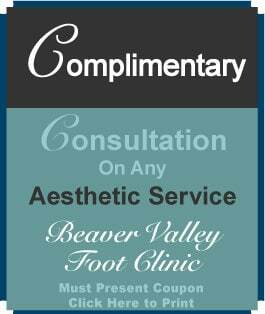 Beaver Valley Foot Clinic’s Body Beautiful Laser Medical Spa is here to help you get rid of those unwanted foot, ankle or leg tattoos once and for all! Call Pittsburgh’s own Beaver Valley Foot Clinic at 878-313-FEET (3338) for more information about tattoo removal and let us help with any of your foot care and podiatry needs.